Here’s a better picture of tattoo number ten. The green is much more visible now. 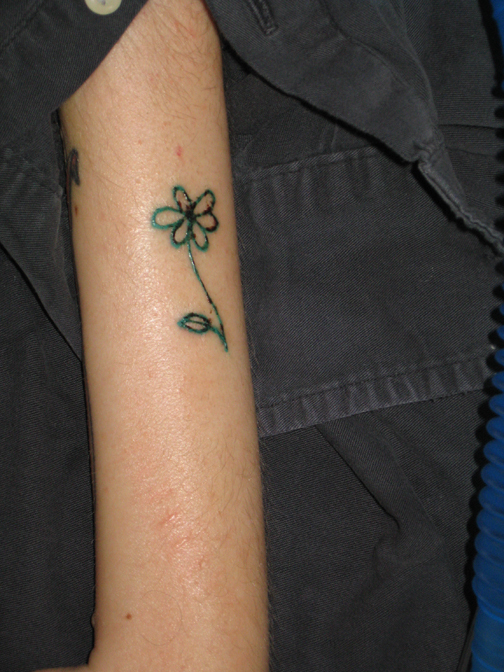 nice daisy – the blood I could do without. Hope today is a better one for you – check out the beautiful sun shining outside!